Cake Decor in Cairns: An Interview with International Cake Artist Rose de Guzman-Warnick. Rose I am so flipping excited to be able to interview you! Thank you for taking the time to let my readers discover more about you! 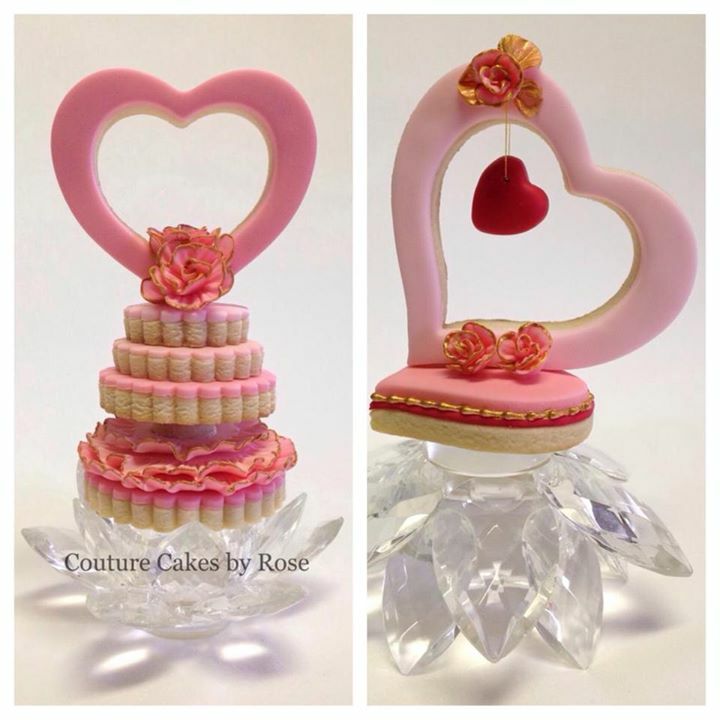 I have to say that I am ecstatic that you're coming to Australia in March next year, actually I am totally elated that Couture Cakes by Rose is coming to my home town!! Cairns,Far North Queensland to be exact!! Eeeeeeek! Somebody hold me down!! So while we count down the days to your arrival, let's find out a little more about you. Thank you so much my friend for featuring me on your blog. I am just as excited to be coming to Australia and finally get the chance to meet my lovely friends. I currently live in Rock Hill, SC, USA. I initially planned to travel all over the United States when I first moved here 9 years ago but meeting my now husband-Jon-changed all of that. How long have you been decorating cakes? And when did you grow from baking for your own family to an amazing International Cake Artist? *Blushes!!! * After I made my first decorated cake, I knew then that cake decorating and designing will be a part of me for many years to come. What I didn't realize then was how I would fall in love with it head over heels. A creative imagination paired with a set of feet firmly planted on the ground, supportive family and friends along the way who have been very supportive of my endeavour and helped me carve my own little name in the industry. I see a lot of cultural elements in your cakes. Do you feel cake decorating helps you stay connected with your ancestral heritage? To be honest, Yes. My designs are mostly influenced by my cultural and ancestral background. They are my way of highlighting all the beautiful aspects of where I came from-the Philippines. It also bridges the gap between my past and present. It allows me to remain "true to myself". What is your most "Must Have" tool of the trade right now? Ohhhh!!! Do I have to choose? This is going to prove very difficult but I will have to pick my "cone head modeling tool". I can frill and make flowers with it so it is my absolute must have. 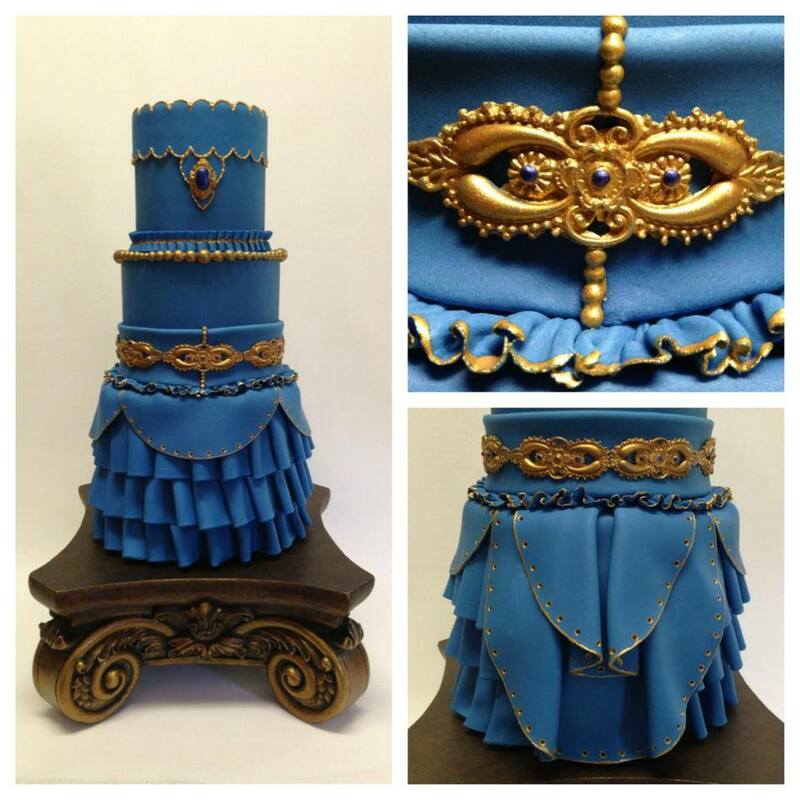 What was your most challenging cake and the story behind it? To date, my "Sinulog Festival Queen" created for the Cake Masters Around the World in 40 Cakes was my most challenging creation. Sinulog Festival is celebrated every 3rd Sunday of January in honour of the miraculous Sto Niño. It is a very rich tradition and I was afraid I will not be able to give it justice. In the end, I chose one aspect of the festival that is easily recognisable amongst the Filipino people while at the same time giving it my own touch. You're coming to Australia! The Land Down under! Are you scared of our Crocodiles, Boxing Kangaroos and Drop Bears? Have you tasted Vegemite? What did you think? Oh my!!! I have heard of Vegemite but have not had the courage to try it yet. I will surely try it while I am in Cairns. If you could create a cake for anyone in the world, history or present day, who would it be and why? 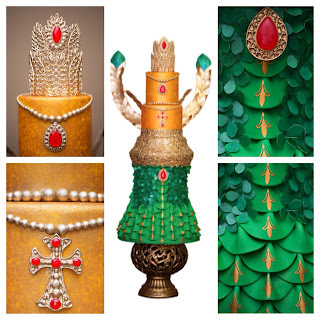 Given the chance to create one grand cake, I would love to create a cake for Imelda Marcos. For me, she embodies beauty, sinful excesses (all those shoes!!!! A lady can never have too many shoes) and power. I would like to be a dessert...a panacotta to be precise. It is just rich enough, not too sweet and have that velvety texture. What do you do when you are not working on anything cake related? *Laughs!!!!! 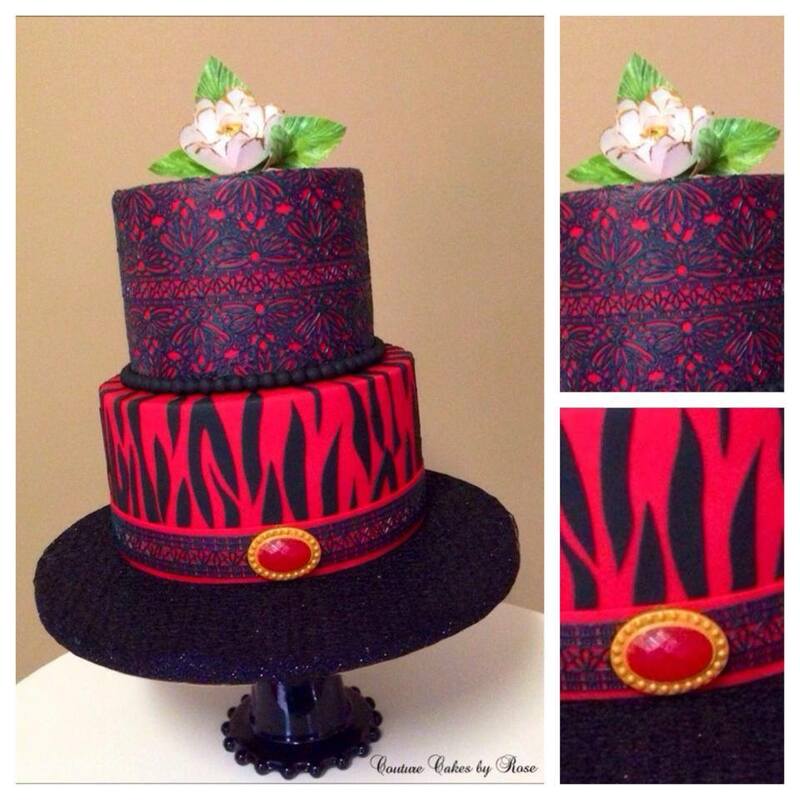 * Honestly, I think of cake designs and make plans for my next cake creations. I also love to cook creatively. My husband loves to take me out to eat and when he fawns over a certain dish, I make it a point to recreate that dish with my own touch at home. I also have my two girls- Darrose and Madeleine-who keep me grounded and dare I say...keep me feeling young. Also, to this day, I still work as a cardio thoracic ICU nurse. I do this part of my life every Friday to Sunday. I always have a full week, but it's one I am very thankful for. Ganache or Butter-cream? - Ganache, hands down! Winter or Summer? - Winter. I love winter so much my hubby firmly believes I was born on the wrong side of the world! Is there anything else you would like to share with my readers today? In the last 3.5 years, I have always been motivated by working hard to pursue personal growth. Along the way, whenever I am in doubt, I kept reminding myself of the golden rule-do unto others what I want others to do unto me. Edible Art Gallery by Couture Cakes by Rose. Rose is Coming to Australia! Eeeeeeeeek! I am superfragilistically excited to be able to help Rose share this incredible news! I hope you enjoyed her interview! If you're like me and just love Rose's cakes and cookies, why not book in for this rare opportunity to attend her exclusive workshops being held in my home town, Cairns, Queensland, Australia. Contact Rose's host, the lovely Sue from Sue's Sweet Delights for all the booking details. I am looking forward to seeing you there!